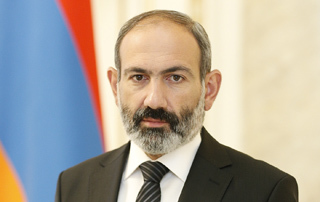 Acting Prime Minister Nikol Pashinyan has sent a condolence cable to U.S. President Donald Trump on the demise of George H. W. Bush, the 41st President of the United States. Nikol Pashinyan’s message reads, in part, “We were deeply saddened to learn about the passing of the 41st U.S. President George H. W. Bush. He was a worthy American, a great patriot who left an outstanding mark not only in the history of the United States, but also in global politics. We, the Armenians, will always remember George Bush with a deep feeling of gratitude as a great politician and as a great humanist. In his years as Vice President of the United States, when the devastating Spitak earthquake hit our country, he sent his family members to Armenia to attend the American aid and share in our sorrow. During George Bush’s tenure, Armenia regained its independence and established diplomatic relations with the United States. He went a long way toward supporting and strengthening our independent statehood.